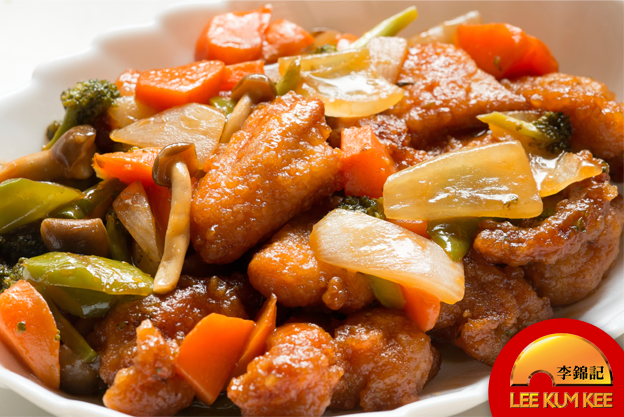 Instead of ordering take out from your favorite Chinese restaurant, try making this delicious recipe for sweet and sour pork at home. This is a definite charmer. 1. Marinate the pork in salt, sugar and egg yolk for 20 minutes. Dust with cornstarch and deep fry. Set aside. 2. In 1 tablespoon oil, sauté the pineapple tidbits and peppers over high heat. Add the pineapple juice. 3. When it evaporates, add the Lee Kum Kee sauce and the fried pork. Heat through and serve while hot.